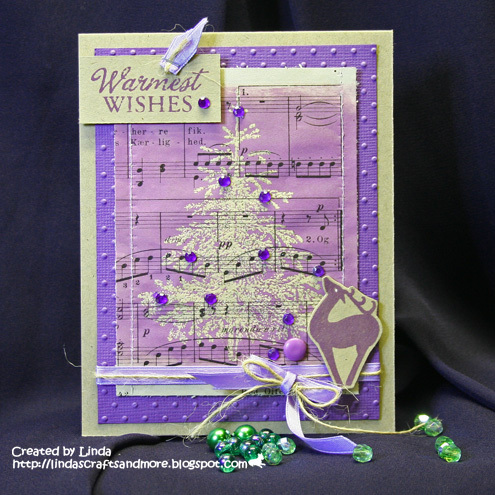 The purple colors are gorgeous for a Christmas card! Both your purple and your blue card are absolutely gorgeous. Thank you so much for sharing them with us at Humbug Hall. Wow, I love the purple on a Christmas card. This is absolutely lovely. Absolutelt gorgeous and perfect for our glittery challenge. Thank you for sharing with us at Bah! Humbug! Really beautiful card - the lilac is gorgeous. Thanks for joining our 'animal' challenge at Totally Papercrafts this week. A beautiful card. Lovely colours and design. A very beautiful card - so elegant and glamorous! Very beautiful card Linda. Thanks for joining us at Little Claire's. Very pretty!!! I love your use of purple on your card! So glad you joined us in this weeks challenge at CSAYL. Hope you join us again!